Join us for our 9th annual “sam i am” Run/Walk and help us find a cure for Neurofibromatosis! 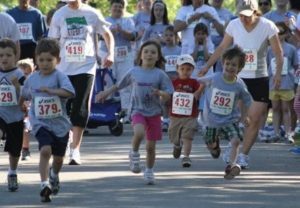 With a five-mile run, 2.5-mile run/walk, and kids’ runs, we offer fun for the whole family! 5-Mile run – Starts at 8:30 a.m.
2.5-Mile run/walk – Starts at 8:30 a.m.
Kids’ runs – Starts at 8 a.m. The 5-Mile Run is a road race consisting of two 2.5-mile loops around Plamann Park. The course will be marked. The 2.5-Mile Run will consist of one loop around the park, and the kids’ runs will consist of an out-and-back from the start/finish area. All adult participants will receive a Brooks dry-wick shirt* as well as a hand-made finisher’s medal at the end of the event. Children will receive a cotton event shirt and a finisher’s ribbon. Snacks and root beer will be available after the run. The 5-Mile Run is a timed, competitive event. Awards will be given out to the top three overall male and female finishers of the event, as well as the top three finishers in each age category: 12-15, 16-19, 20-29, 30-39, 40-49, 50-59, 60-69, 70-79, and 80 and above. The 2.5-Mile event is a FUN run/walk and will not have awards. The top three boys and girls in each kids’ race will receive an award. 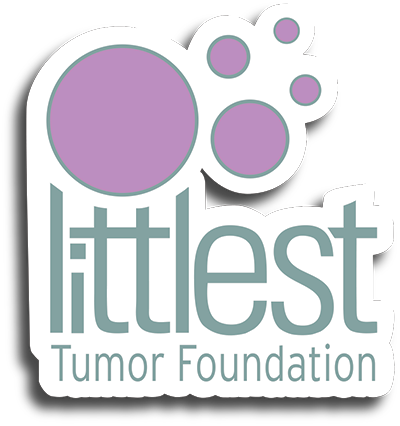 Although fundraising is not required to run our event, every dollar raised does go towards helping to find a cure for Neurofibromatosis, advocating for NF research, and supporting families dealing with NF. For every $100 dollars you raise, you will be entered to win one of our donated prizes. Four-Day Pop-up Camper rental, YMCA Family Membership, spa day, & many, many more. Fundraise $100 and get the individual entry fee waived. Fundraise $250 and get the family entry fee waived! *Note: Family option, limit of two dry-wick shirts per family. Cotton t-shirts will be given to remaining family members.